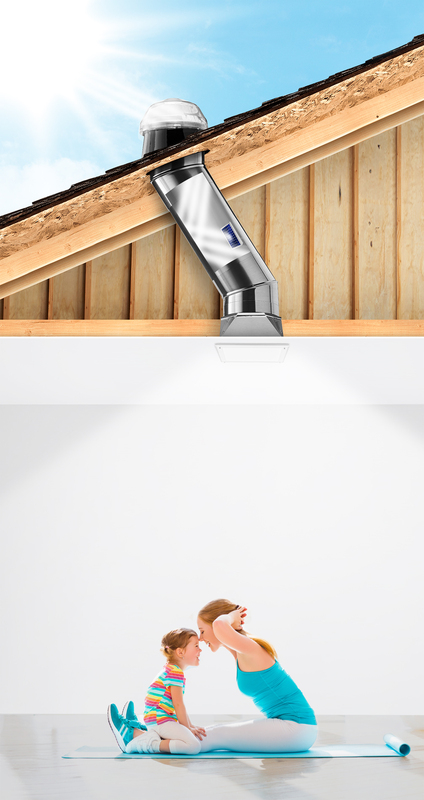 The Solatube Blog > Daylighting: More Than Just Good Looks. Daylighting: More Than Just Good Looks. Natural Light Found to Help Kill Bacteria Indoors. Daylit rooms were also shown to have less of the types of bacteria that result from the shedding of human skin (including some that are known to cause respiratory disease), and more closely resembled outdoor bacterial communities. Kevin Van Den Wymelenberg, the co-author of the study and co-director of the Biology and the Built Environment Center at the University of Oregon concluded that "Until now, daylighting has been about visual comfort or broad health. But now we can say daylighting influences air quality." Great news, but what do you do about rooms with no windows or limited sunlight exposure? Does that mean they’re simply destined for dusty, bacteria-filled environments? Well, there’s another option that’s simple and cost-effective: tubular daylighting, a top lighting system that distributes sunlight throughout the spaces in your house that otherwise wouldn’t receive natural light. Tubular daylighting allows for beautifully natural light without any complicated structural modifications to your home or gaping holes in your roof. The process is simple, a dome on top of your roof captures sunlight throughout the day and funnels it through a tube made of the most reflective material in the world, then redistributes it as beautiful, diffused natural light inside your home. It provides the visual comfort you desire while eliminating the germs from traditionally dark spaces. If you want to learn how tubular daylighting can maximize natural light in your home and minimize unhealthy bacteria, call Solatube, the industry leader, at 888.SOLATUBE to schedule a free consultation. Or you can visit Solatube.com to find your local dealer.